So to make it up to you I’m making my Best Ever Vanilla Birthday Cake! Be sure to watch the video so you get all my tips and tricks! NOTES: Makes two 8″ layer cakes or 24 cupcakes. Serves 16-20. 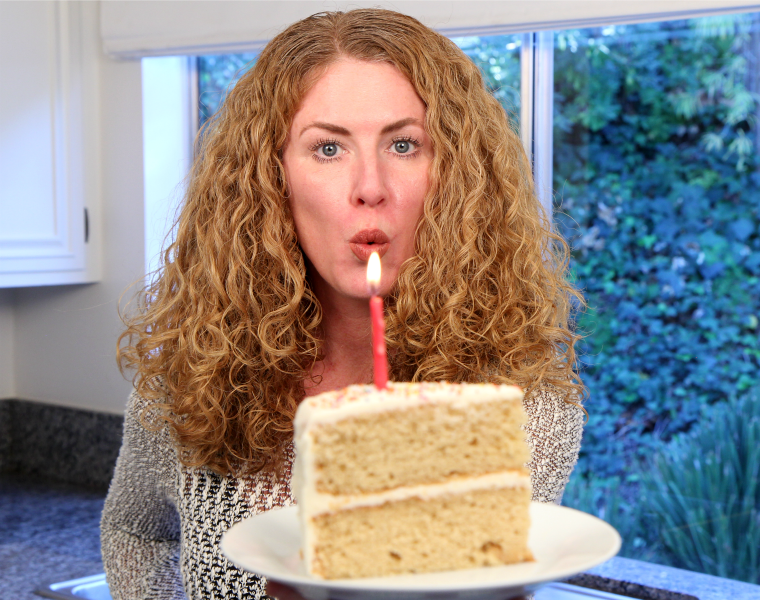 For further instruction and entertainment, watch the Best Ever Vanilla Birthday Cake Video on YouTube! 1. In an electric mixer, cream butter. 2. Add white and brown sugars and cream again. 3. Mix in baking powder, baking soda and salt. 5. Add flour and combine. Scrape down sides of mixing bowl if necessary. 6. With mixer running on low speed, stream in buttermilk. 7. Distribute batter evenly between two prepared cake pans. 8. Bake in a 350(F) oven for about 40 minutes, until golden. 9. Allow cakes to cool completely before brushing with Miracle Moist or frosting. 1. Chill mixing bowl and wire whisk attachment for best results. 2. Cream butter thoroughly and add vanilla. 3. Add sifted powdered sugar gradually until fully combined, smooth and creamy. 4. Add whipping cream and mix on high until fluffed. 5. Finish with a pinch of coarse salt if desired. 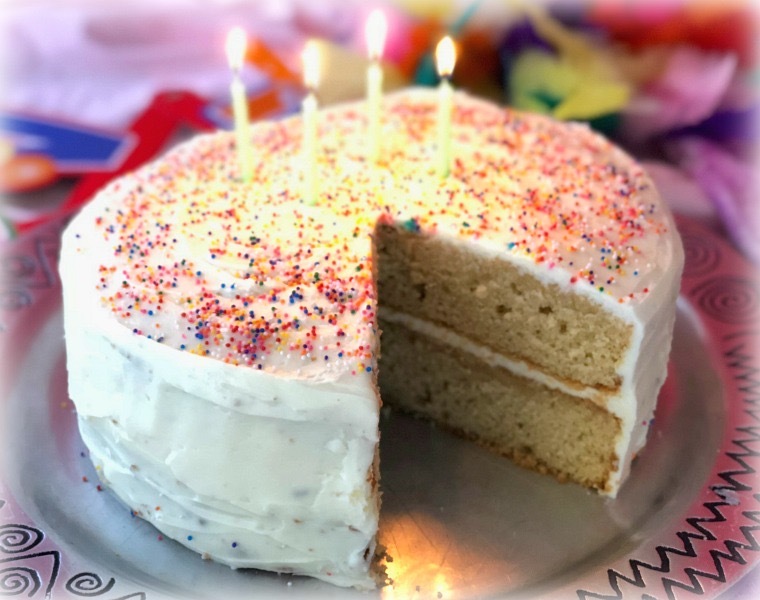 Learn how to make the Best Ever Vanilla Cake and Vanilla Frosting. Watch the video on YouTube and subscribe! So much better than store bought!! Tried this out for my daughters 6th birthday and would recommend to everyone! Made this for my daughter’s birthday tonight and everyone loved it!! Do you spoon the floor into the cup or scoop it? Am I safe just going by weight?